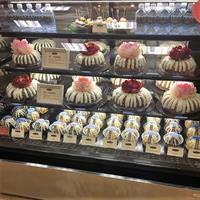 Both Nothing Bundt Cakes Bakeries in the Metro Birmingham area opened with unparalleled expedition (within three months of one another), unprecedented in the 21-year history of the Nothing Bundt Cakes Franchise - by a long shot. Both our Birmingham Bakery (October 2016) and Hoover Bakery (January 2017) are locally owned and operated. Thus far, our cakes have welcomed throughout Metro Birmingham and surrounding areas. We hope to spread our love of baking and mission of sharing with the community for years to come: we are just getting started. Our philosophy is relatively straightforward in that to find the perfect recipe; you first need the perfect ingredients. And that is what our founders Dena Tripp and Debbie Shwetz were for each other. The cakes they prepared were delicious, unlike anything anyone had tasted. Fresh eggs, real butter, and real cream cheese: nothing was too good to achieve perfection. 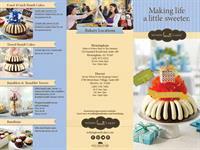 Nothing Bundt Cakes - Hoover - Check out our Menu! Order for Pickup or Delivery! 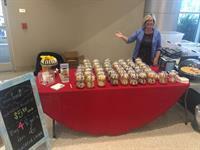 Nothing Bundt Cakes - Hoover & The Birmingham Bundt Man - Follow us on Twitter! 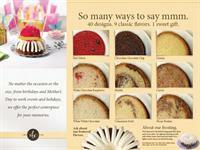 Nothing Bundt Cakes - Hoover and Facebook: Join our most loyal customers and Like Us/Review Us! 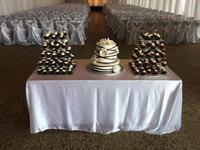 Nothing Bundt Cakes - Hoover and Yelp! Like us? Let the World know! On the Corner of US Hwy 31 South/Montgomery Hwy and Hwy 150/John Hawkins Pkwy - Located in the Whole Foods Shopping Center. Roughly 1 mile off of the Interstate 459; Hwy 31 S Interchange at Exit 13.